The White Hart Inn was one of the most popular names for the inns which housed the plays in its yard during the Elizabethan era. This was before the amphitheaters and playhouses came into being. 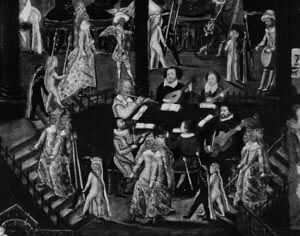 During the reign of Queen Elizabeth, there were no restrictions in the staging of plays and it marks the golden era in the history of modern drama. The plays started off as being performed in public or the streets. No females were allowed to take part in it but slowly it evolved to being more accepted by the masses. When it started gaining popularity then the troupes used to talk to the owners of the inns located in different places and if they could get permission then they performed in the yards of these inns. That is how Elizabethan yards came into existence. During that time the presence of cobblestoned yards was inevitable as people used to travel solely on horseback and this paved the way for the troupes to perform in the yards. The white hart inn was one such popular venue for the hosting of such plays in its yard. 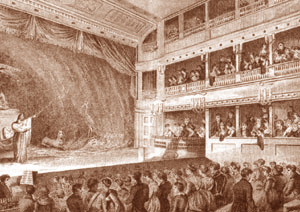 The white hart Inn theatre had symbolical importance as well; it was the place where Jack Cade had planned his operations during the rebellion in Kent in the year 1450. It was put into action in a village named the Borough which is located along the Thames River in the county known as Surrey. Hence this inn had a historical background which was therefore used in a play by Shakespeare called Henry VI in which Jack Mortimer leads the rebellion in the city of Kent and uses White Hart as its headquarters. He fights for King Richard III who had been deposed. shift stage along with seating an audience which could be up to five hundred in number. The people who wanted a better view would be seated in the balcony and would be charged extra for that. But the white hart and the other popular inn yards slowly disappeared from view as permanent structures were established for the housing of plays which were gaining in popularity day by day.